Before I begin, I just want to wish everyone Happy New Year 2016 and may you have a great and prosperous year ahead!!! 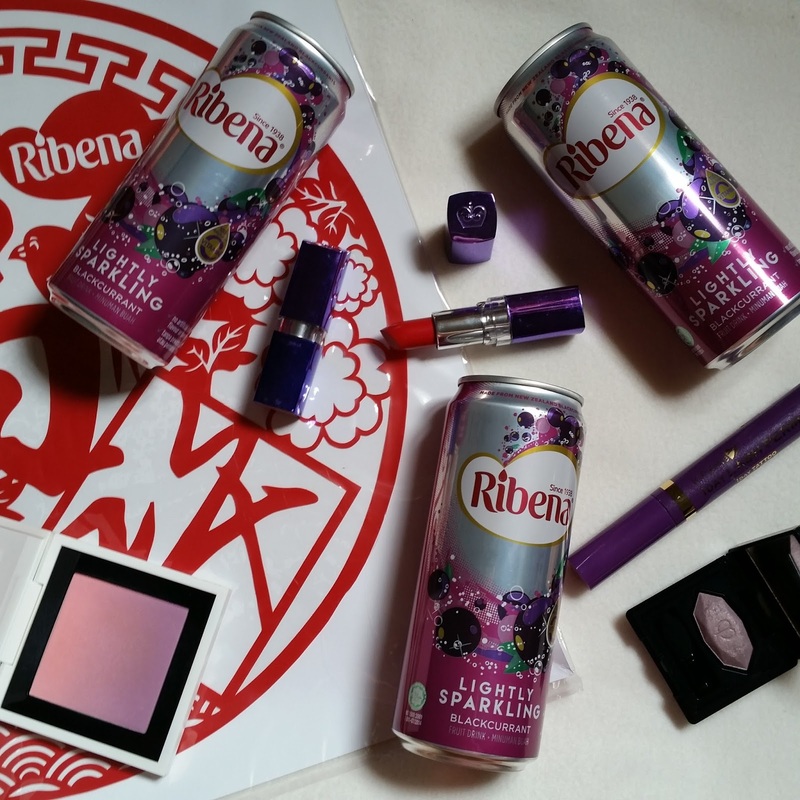 I was super stoked when Media Flair contacted me to review or rather drink my favourite drink of all time, Ribena. I've been an avid fan of their drinks since when I was a little girl. Fond memories are always associated with the brand, cue Chinese New Year Period or travelling with the family. I always thought that Ribena is a local brand as they are so popular and widely accepted as a common drink everywhere in Malaysia and Singapore (eg: hawkers, food courts, supermarket, drink vendors etc). Now, Ribena is introducing its beverages with a fizzy twist, the Lightly Sparkling Blackcurrent. 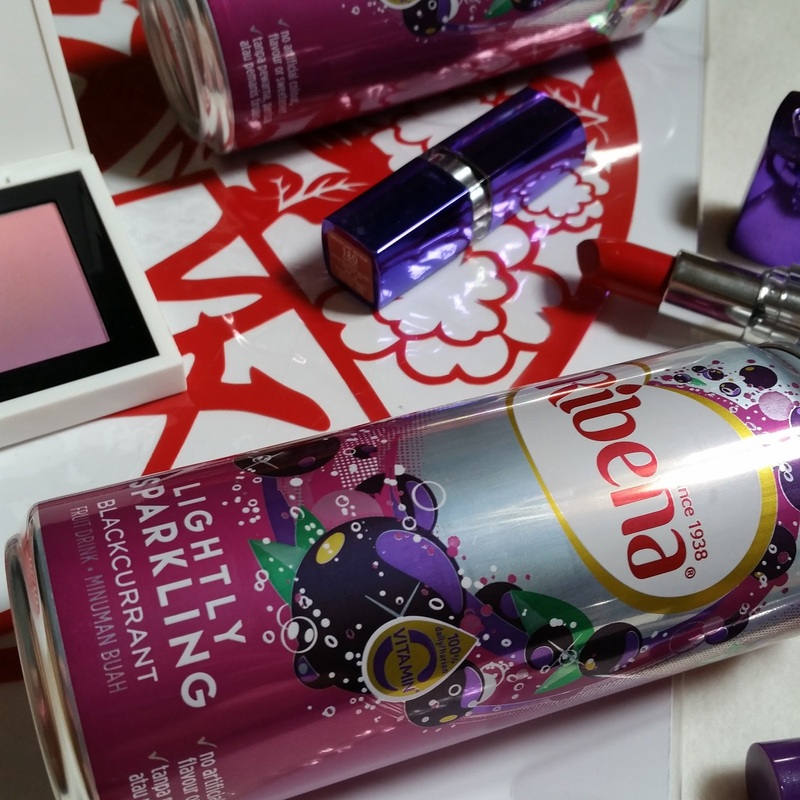 Absolutely cute packaging with the bubbles and purple blackcurrents. 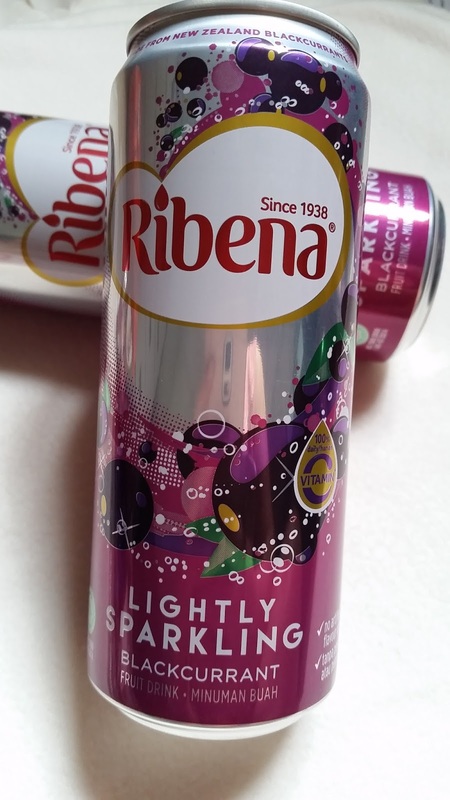 To be honest, the drink needs some getting used to as I am so accustomed to the sweet smooth liquid that Ribena carries since as long as I can remember. Surprisingly, after a few gulps, I felt refreshed and my thirst quenched, something that I don't get out of from their normal range. Its just like drinking soda without the bad stuff. 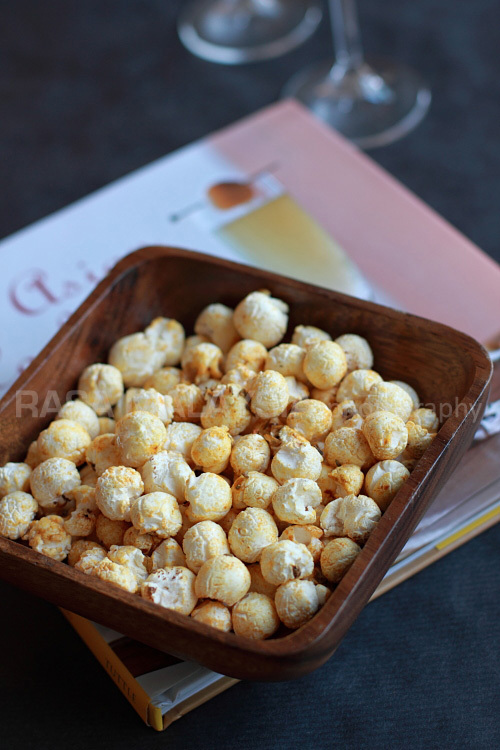 Perfect for the hot humid Chinese New Year and Valentines Day weather. Sweet!! 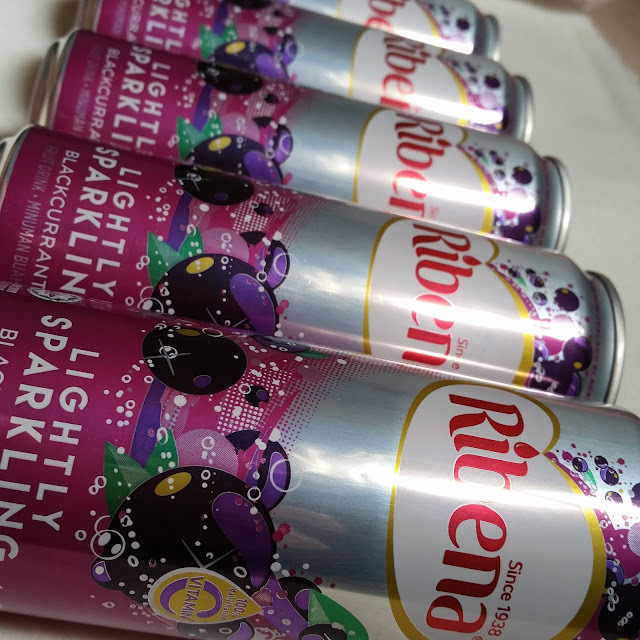 So people, head on over to all leading supermarkets, convenience stores and try some food centre outlet to taste this all new product from Ribena. Retailing at $6.20 for 6-pack or $1.45 for a single can. Disclaimer: The products are sent to me for review purposes. I was not sponsored in any monetary way nor instigated to used "preferred" words for this post. All opinions provided are honest and of utmost truest feelings of mine after testing the products. Different people with different taste preference might react differently to the product thus taste result may vary. I tried this brand before! I thought it was very tasty! Love your blog, keep up the post.